Anne Curtis is keeping everyone excited about her newest movie project Just A Stranger. She just revealed on her Instagram account that her leading man for this film is...Marco Gumabao! The film hasn’t moved into the filming stage yet. But the so-called acting calibration stage is completed, according to a post by its director Jason Paul Laxamana. 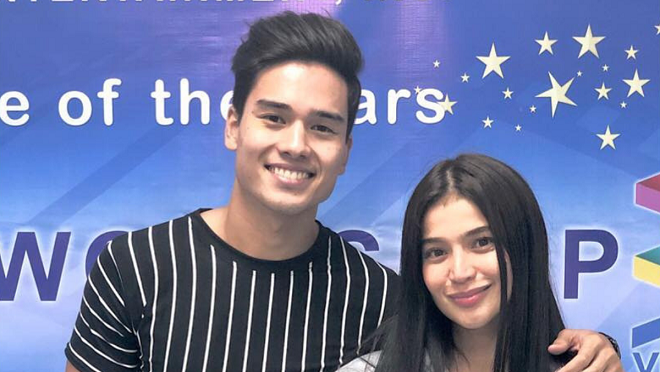 Marco has co-starred with Anne in the film Aurora, a 2018 Metro Manila Film Festival Entry that was recognized as the Second Best Picture. In 2013, they also worked on a TV Series Kailangan ko’y Ikaw. Another upcoming movie starring Marco is Ulan, where he is one of Nadine Lustre’s leading men. He is currently a mainstay in ABS-CBN’s Kapamilya Gold TV series Los Bastardos.